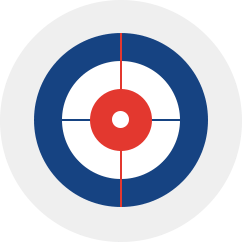 Curling is a fun sport which combines physical and mental skill. It is also one of the few sports in the world where all ages, genders and abilities can compete against each other. Curling is fun! The basics of the game are simple. There are two teams on on a sheet of ice who take turns to deliver the stones. Both of the teams try to get their stones down to the other end in order to be closer to the center of the target or the “house”. 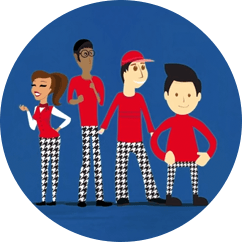 Each team consists of four players – the lead, second, third and the fourth, also known as the “skip”. In each of the ends every person gets to deliver 2 stones. The responsibility of the Skip is to lead the game of his team, call the line for the shots and to give general feedback to players. When all 16 stones have been played, the end is finished. A team will score one point for each stone that is closer to the center than the best opponent’s stone. In order to count the stone has to touch the “house”. Team who scored will always start the next end. This way the team who did not scored in the previous end will get the last stone advantage, also called as the hammer. 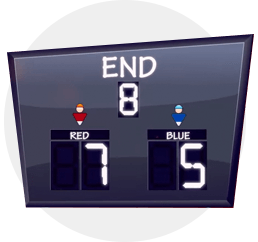 Games on the competitive level are usually played with a time limit and therefore a game lasts around 2 and 2,5 hours or until the agreed number of ends have been played. Team with the most points in total at the end of the game will win. Curling stones are made out of granite and they weigh around 30 kg’s. Plastic handle on the stones offers players some grip in order to apply a curl to the stone. At the end of the sheet there are rubber “hacks” which provides traction to the players in order to slide and deliver the stones. 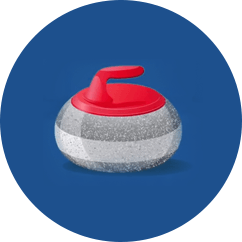 Every curling club has stones and hacks on-site, therefore you do not have to carry those around. Take a look, how curling stones are made. Probably you have seen curling players sweeping the ice before. The purpose of this process is to create some heat on the ice in front of the stone which also helps the stone to travel further. You can also affect the direction of the stones by sweeping them. Brooms are free to use at all our venues. Curling players, also known as curlers, wear special footwear while playing the game. One of the soles is providing ability to slide (usually teflon) and the other sole will provide grip for moving around on the ice. If you’re coming to play for the first time then we reccommend that you take a pair of indoor training shoes with you. Rubber soles provide good grip on ice and there are teflon sliders available at our playing venues for free. 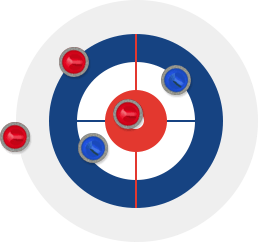 If you’re interested in buying personal curling equipment then contact us and ask for advice! 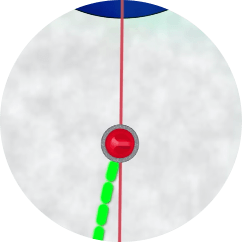 Curling is played on a sheet of ice which is approximately 45m long and up to 5m wide. At the both ends there is a target (house) and it’s marked with red, white and blue circles. Colours help to evaluate the distances between different rocks. Between the houses, there are 2 red lines called the “Hog lines”. A player must release his stone before he travels over the hog line with it. Stones have to come to a rest after crossing the second hog-line and before going over the back line.